Wrongful Death Attorney Dallas | The Ashmore Law Firm, P.C. Wrongful death is the taking of the life of an individual resulting from the willful or negligent act of another person or persons. Lawsuits involving wrongful death are difficult for the families who have lost their ones to pursue. 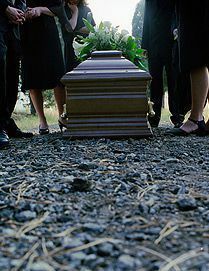 The tremendous loss that a family confronts is challenged by the need to investigate the incident and preserve evidence. Our attorneys are capable of investigating such matters to determine all persons who are responsible. and will diligently pursue the case until it is resolved. Contact us today.